Winter landscape with white pine trees on snow hill in night. 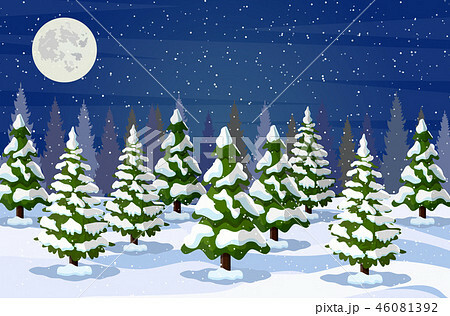 Christmas landscape with fir trees forest and snowing. Happy new year celebration. New year xmas holiday. Vector illustration flat style .